A 16 inch octagon shaped table mat constructed with colorful combinations light, medium and dark fabrics will be a bright addition to your home. 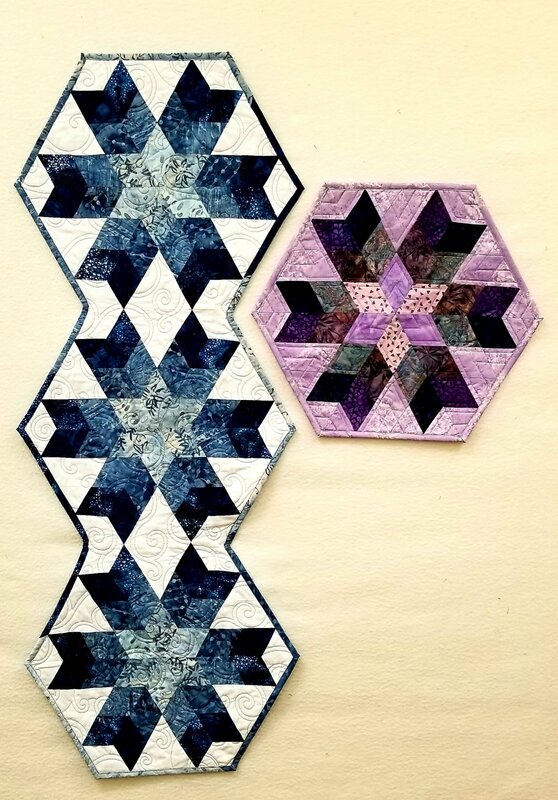 2 or 3 blocks can be joined together to make a longer table runner. Learn how to use the SideKick Ruler to cut diamonds and techniques for working with bias cuts. Register at least 2 weeks in advance to insure sufficient patterns and rulers are available.